After 61 years’ reform and innovative development, the Canton Fair has withstood various challenges and never been interrupted. The Canton Fair enhances trade connection between China and the world, demonstrating China’s image and achievements of development. It is an outstanding platform for Chinese enterprises to explore the international market and an exemplary base to implement China’s strategies for foreign trade growth. The Canton Fair serves as the first and foremost platform to promote China’s foreign trade, and a barometer of the foreign trade sector. It is the window, epitome and symbol of China’s opening up. Up to the 123rd session, the accumulated export volume has amounted to about USD 1.3237 trillion and the total number of overseas buyers has reached 8.42 million. The exhibition area of one session totals 1.185 million m2 and the number of exhibitors from home and abroad stands at nearly 25,000. In each session, about 200,000 buyers attend the Fair from more than 210 countries and regions all over the world. On the opening of the 120th Canton Fair in October, 2016, Chinese President Xi Jinping sent a congratulatory letter; Chinese Premier Li Keqiang gave instructions. The congratulatory letter of President Xi and instructions of Premier Li affirm the Canton Fair’s important status and contributions in China’s reform and opening up and eco-social development and point out the key and direction of our work, significant for expanding China’s opening up, cultivating new competitive edges of foreign trade sector, building China into a strong economic and trade power, and driving reform and innovation at the Canton Fair. At present, following the guidance of Xi Jinping Thought on Socialism with Chinese Characteristics for a New Era, we, at the Canton Fair, will study and implement the spirit of the 19th CPC Congress, uphold the development principle of innovation, coordination, green development, openness, and sharing, and spur innovation in the system and business mode. We are continuously improving specialization, information application, market orientation, and international development. 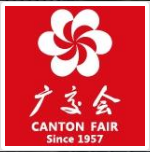 We are endeavored to build a “Smart Canton Fair” and “Green Canton Fair”. We are working hard to transform Canton Fair from an export trading platform to a comprehensive one integrating customer networking, display and negotiation, industrial exchange, information release and product promotion. We will give full play to Canton Fair’s function as an overall platform for opening-up which allows for buying and selling to the globe, and make new contributions to China’s development into a strong economic and trade power and the development of open economy.